You may have surmised, dear reader, that a few of the things which I grow in my urban terrace garden like to express their thoughts, since some of them have taken it upon themselves to author posts for this blog. As you may remember, this started back in April of 2010 when my Paeonia suffruiticosa (Tree Peony) took to the keyboard and made a short blog entry which you may refer to by clicking here. Then, as you may recall, this past April of 2011 — almost a year to the day of my Paeonia suffruitcosa's flower's post — one of my tulips posted entries about Sylvia Plath, when it thought her poetry was insulting and hurtful. You may review how the tulip weighed in on Ms. Plath's poetry by clicking here and here. And your memory is serving you well if you are thinking that not to be outdone by my poetry analyzing tulip, my Physocarpus opulifolius (Coppertina), Rose, and my Helichrysum bracteatum (Strawflowers) all put in their two cents about urban garden life in posts that you may find by clicking here and here as well as here respectively. The latest one to join the cyber-world was my Echinacea Plant. At this time, all of the herbs, plants, flowers, vines, shrubs and trees, which grow in my terrace garden have gotten together and informed me that life in my urban terrace garden has become a real social networking opportunity that is being hampered by the fact that it is difficult to remember everyone's name what with over eighty different things making their home in my garden. They are imploring me to finish the name tags that I started a while ago. You may recall, dear reader, that in a previous post which you can read by clicking here, I stressed the importance of calling all things by the name that they wish to be called. 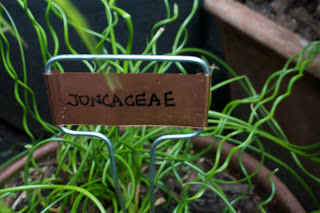 In any event, the tags which I got for my plants are copper, as seen in the photograph of my "tagged" Juncus effsus (Unicorn Soft Rush) plant posted at the top of this blog entry after the screenshot image of your average name tag for people to wear at events which are not so attractive, but the copper name tags are very attractive and unique, which I am sure the things that I grow in my garden will appreciate since they have such high standards even though they watch television and get their inspiration from Bud Light commercials! The copper style tags were suggested to me by Juan V, and you may have noticed one or two of the name tags in photo-collages that I included in my posting about my Echinacea Plant which you may go to by clicking here. 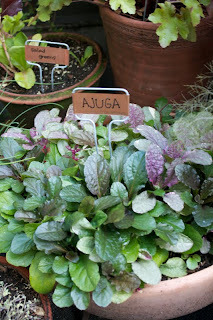 The writing on the tags is unique too and very special as evidenced in the tag for my Ajuga plant seen in the photograph posted below. Each tag's script is slightly different and was done by Jennie from a shop called "roam", which is located on Amsterdam Avenue on the Upper Westside of New York City. 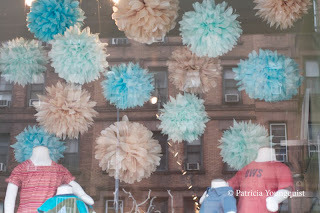 An image of their store-front's window can be seen in the photograph posted below. 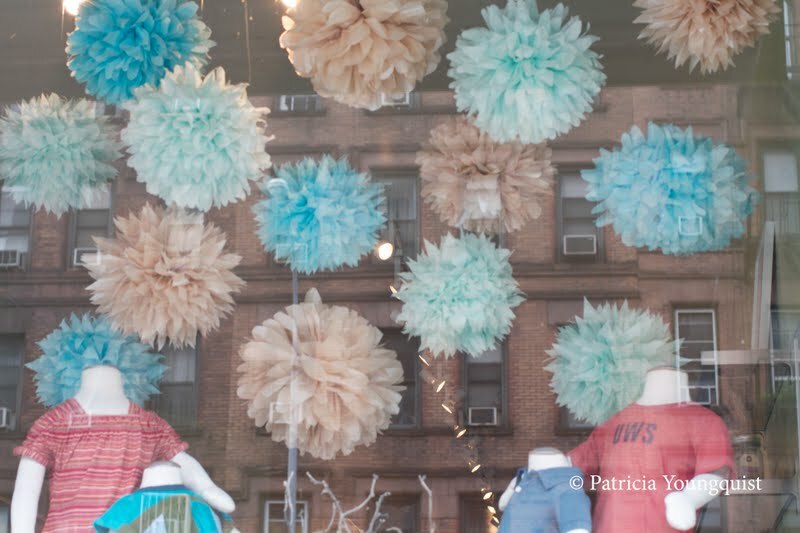 The paper flowers you see in the window were also made by Jennie, and as you might surmise, she is multi-talented. I am grateful to have her "stamp" on my urban terrace garden in the form of her "script" on my copper name tags. At this time, forty-three name tags (there are forty more to go) have been scripted by Jennie, and photographs have been taken of each one of the scripted copper name tags with their respeectivre plants. I will post updates regarding this project. Meanwhile, dear reader, if you are a gardener, do you "tag" the things which you grow on your garden? If so how? I am sad to report that Jenie has had to close roam as of the end of January 2012. I know how much the shop meant to her, as well as to our "hood," and we will miss it as well as her. Especially me who "employed" Jenie to use her beautiful script on my name tags for the 80+ things I grow in my urban (NYC) garden. Jenie will be moving out of the country and I will try and update you with details when I have them. 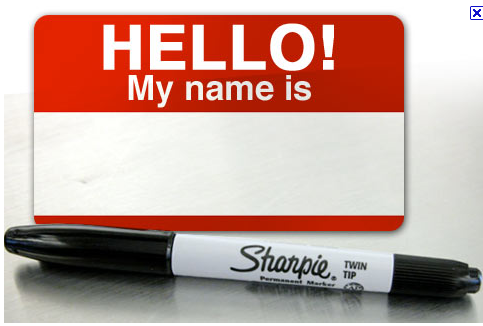 As for my Name Tag Project, I am still in the throes of it. So much for my deadline! Proof once again, if you want to see your muse laugh, tell him/her your plans! Hurricane Irene. New York's Santa Ana?